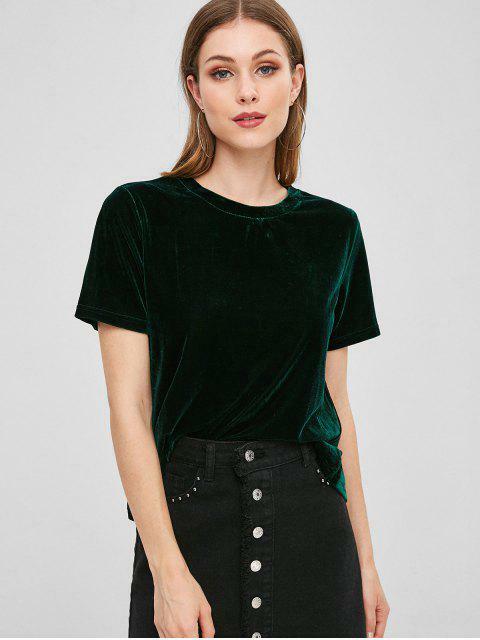 [30% OFF] 2019 Back Slit Velvet T-shirt In DARK GREEN | ZAFUL .. I love the color and super comfortable to wear! i am 5'5 54kgs and ordered small. Fits perfectly!! The velvet fabric offers just as much sleek softness, it's cut to a relaxed, boxy fit that slits through the reverse.